Winter has come. El Nino storms might at any time strike. What kind of shape is your balcony, patio or roof deck in? You might be asking, do I have a waterproof deck? If not, when is the right time to fix it? 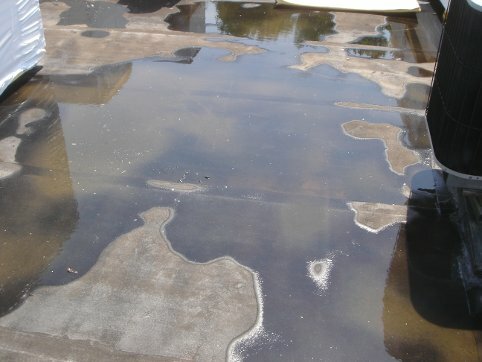 At Prestige Deck Coating, we have seen some sure signs that call for deck repair and waterproofing. Here are some signs that you might not have a waterproof deck. Holes. Holes are not only unsightly. 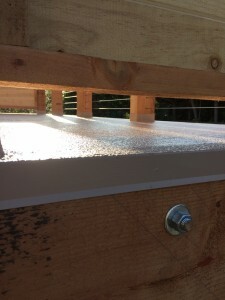 They are a clear sign that your deck needs a repair and waterproof coating. Once a deck is exposed to the elements, it is almost always sure that there is foundation damage as well. Soft Spots. Soft spots can be deceptive. 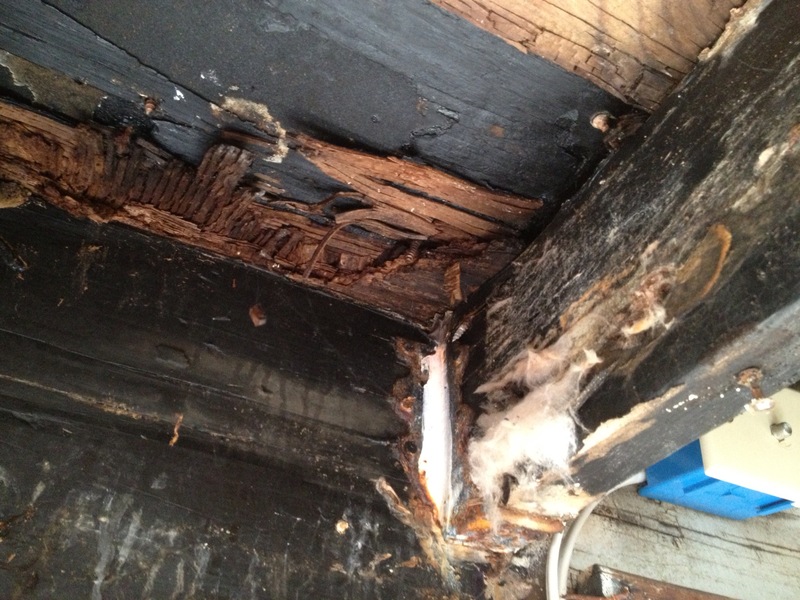 They might only suggest a small repair due to a little water under the surface, or they could be the sign of a need for full plywood resheeting. Waiting will only exacerbate the situation. They are also dangerous, as they are hidden, until a person puts their foot through the surface. Rust. Rust = water present. Water present = not waterproofed. 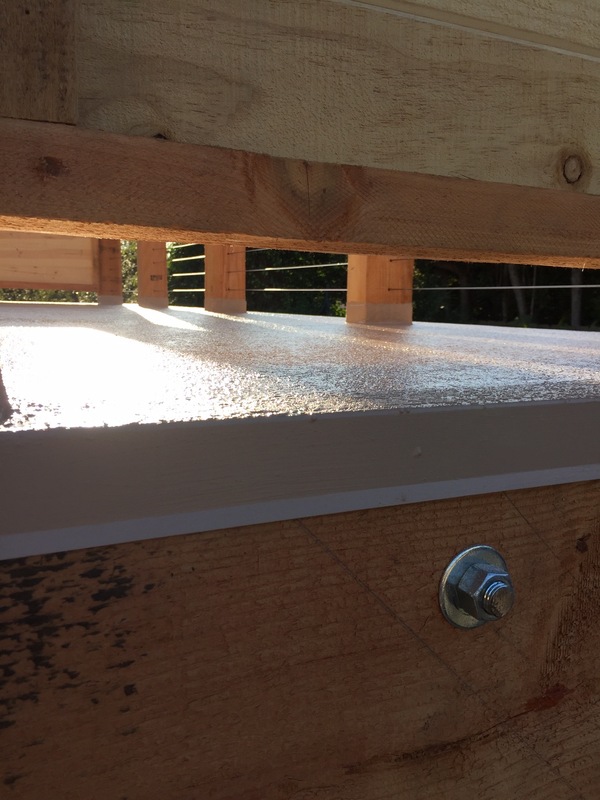 If you have a rust on the deck, it likely means the water has seeped into the metal flashing around the perimeter. This usually means a need to replace the flashing and do a deck repair. Pooling. If you have more than a dime deep of water in any spot on your deck an hour after rain, this could be a problem. Pooling water shows at least two things. One, the deck is not properly designed to run off excess water. Two, you will likely have water seeping under the surface. Pooling needs to be addressed by creating a cricket, to create proper flow off the deck. 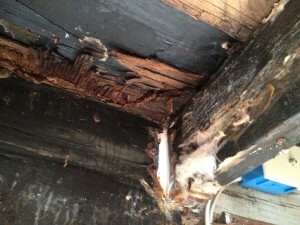 Leaking assumes not only a lack of waterproofing, but also structural damage, and likely drywall damage. Call your local deck coating contractor now! If any of these scenarios describe your deck, do not hesitate to call a decking pro like Prestige Deck Coating. We offer free onsite assessments, custom estimates, 10 year warranties, and 30+ years experience for our site supervisors.